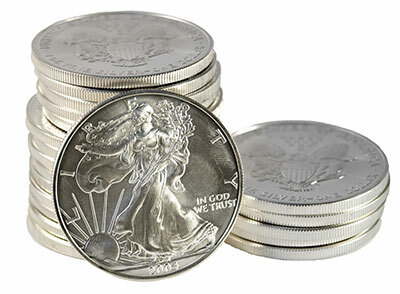 Many people have silver coins jingling in their pockets and don’t even realize it! Most Canadian Quarters, Dimes and Half-Dollars struck before 1968 have some silver content, and we are able to offer payment based on the silver content of those coins. The same US currency struck before 1964 will have some silver content as well, and US half-dollars contained silver right up to 1970. Silver dollars and special commemorative coins from the Royal Canadian Mint are also valuable for their silver content. If you have special coins from the Montreal, Calgary or Vancouver Olympics, Silver Maple Leafs or RCMP centennial coins, we can offer great payouts on their silver content value! So if you’ve got coins that you want to convert to cash, give Canada Gold a call to find out what they’re really worth!